Child care is provided for children infant to 3 years old. Child care starts at 10:30am on Sundays and ends at 12:00. Our goal is to make children as comfortable and happy as possible during the worship service! 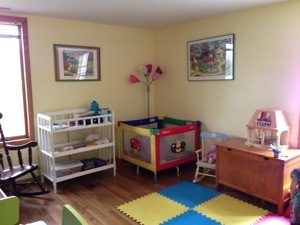 Our child care is provided by paid staff who have been screened and given a professional background check. There is no charge for child care services.